So, apparently overalls are making a comeback. Not kidding! 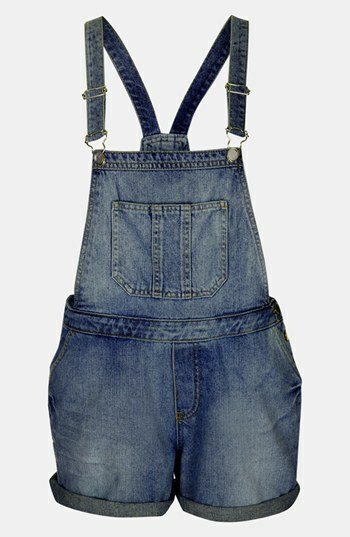 I’m all for the vintage/retro attire but I don’t quite know how I feel about overalls. Certainly they’re cute and easy to wear. Very spring and summery. I think it’s perhaps that I still cringe recalling wearing very over sized overalls from Gap back in middle school and high school. With a tube top. 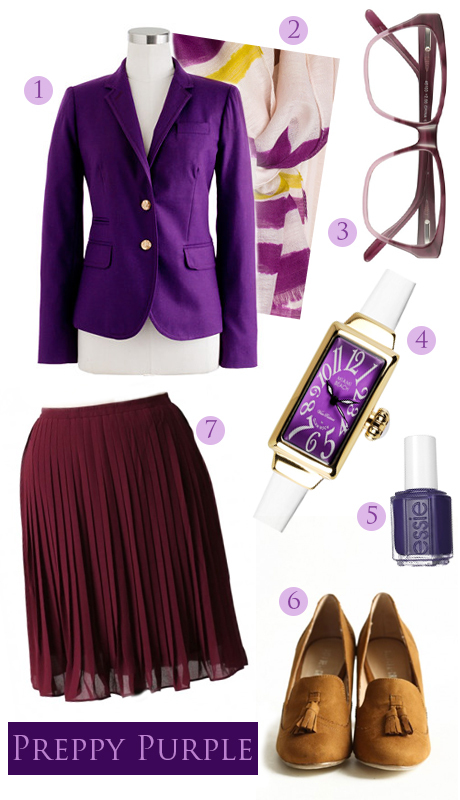 Very classy, I know. But this pair from Topshop seems pretty unassuming for casual Saturdays out running errands or picnicking in the park. Don’t forget your white Keds! What say you about overalls? Love ’em or hate ’em? Well, while Piano Man was on a break, my mom told me to sit down and play. “But mooooom! I’m not even good!” I protested. I’m sure my mom gave me a “I’m not spending a fortune on piano lessons (and in this here store) for nothing!” sort of glare and I ended up playing a song, though I can’t remember which one. Maybe the Pink Panther theme song — that was always my favorite. Ha! Just kidding. I’m sure my mom made me perform something a bit more sophisticated than that. My brother’s favorite tune to play was the Beverly Hills Cop theme song. That wouldn’t have flown with her, either, I’m sure. 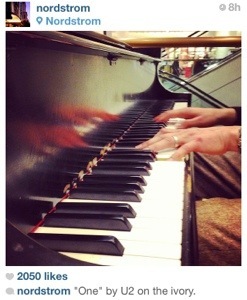 I miss the Nordstrom piano and definitely think they should bring it back. You can listen to pre-recorded radio music any ol’ time! Did you know that Emerald Green is Pantone’s color of the year for 2013? (read more about that here.) It’s good news for people like my brother who have been wondering what to do with the green carpet that covers most of his home — it’s totally in style now! That’s the thing, isn’t it? You wait long enough and you’re always back in style. Well, I’ve had a Nordy’s gift card burning a hole in my pocket since my birthday and I think I’ve found just the outfit to spend it on! What do you think about emerald green? From coats to hoodies to boots, throws and pillows…how do you feel about fur?